What Type Of Movie-Goer Are You? Are you honest with yourself about what type of movie-goer you are? Let us take a chance at telling you with our fun quiz. We all know the movie talker or the 'have to go opening night' super-fan. But where do you fall? Answer a few short questions to learn what type of movie-goer you are. Are you in line for tickets on opening night or waiting for the movie to be available On Demand? Or are you not interested in popular flicks, but rather the underground scene? 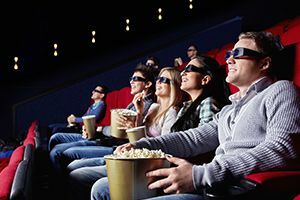 Take our quiz to find your movie-goer personality.